One of the most well-known wedding traditions is that the bride should not see the groom before the ceremony, otherwise it will bring bad luck to the marriage. However, we’re saying goodbye to this superstition and instead we’re all about the ‘first look’. We’re huge fans of the first look for many reasons. It’s ultra-romantic and means you can both steal five minutes together ahead of a busy day of celebrations, where it’s unlikely you’ll spend much time alone together. It also offers you the chance to capture some truly magical photographs that you’ll be able to treasure for years to come. It’s also a great way to calm any nerves you may have ahead of the ceremony. So, if you want something a little different for your big day, be sure to add the first look into your wedding timeline! We’re all about fashion-forward aisle style here at Flossy and Willow, so we’re always keeping a close eye on the latest bridal fashion trends and looks. For brides who want something totally untraditional for their wedding outfit, consider rocking a stylish jumpsuit or chic bridal separates – you’ll love everything about Catherine Deane. 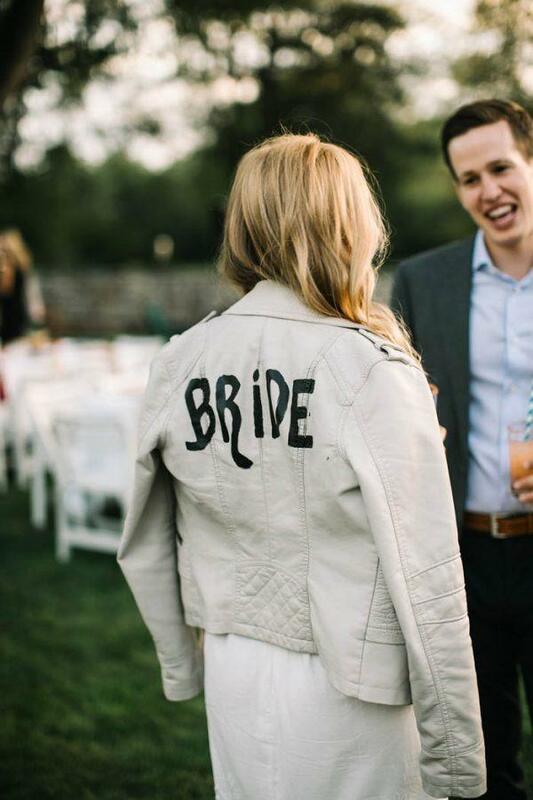 Alternatively, you can add a modern edge to a traditional white wedding dress by donning a personalised leather jacket. The best news is, you can wear it after the wedding day! 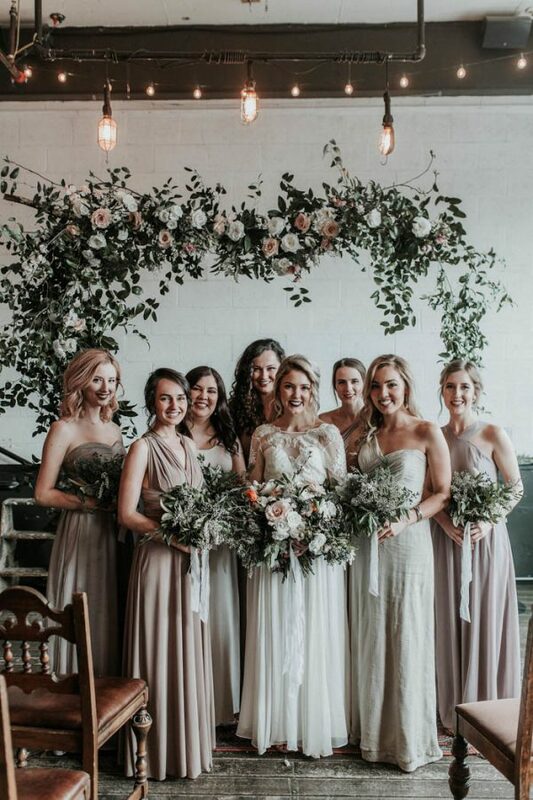 While there is nothing quite as special as having your closest friends and family stand next to you as you say ‘I Do’, don’t think you have to have a bridal party. 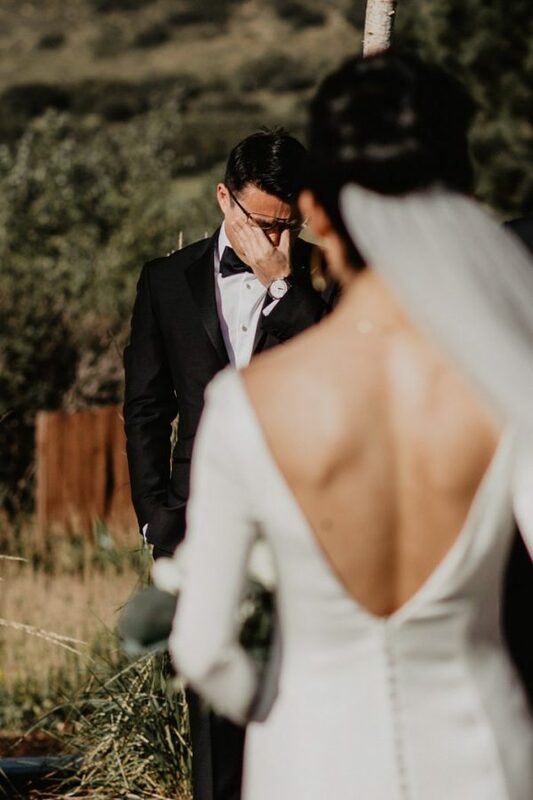 More and more couples are saying goodbye to this tradition, instead asking their loved ones to be a part of their special day by doing a reading during the ceremony. 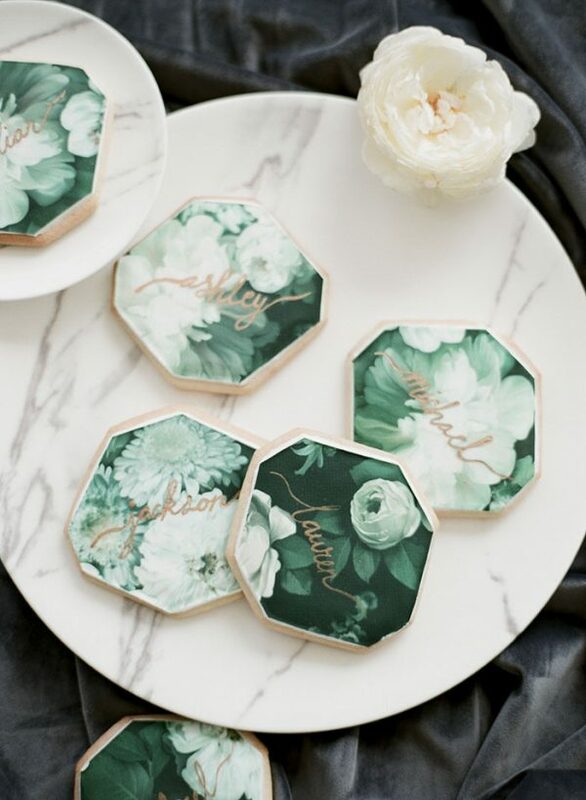 If the thought of spending hours thinking about a wedding favour that your guests will actually like and use, not to mention the cost, doesn’t take your fancy don’t fret. 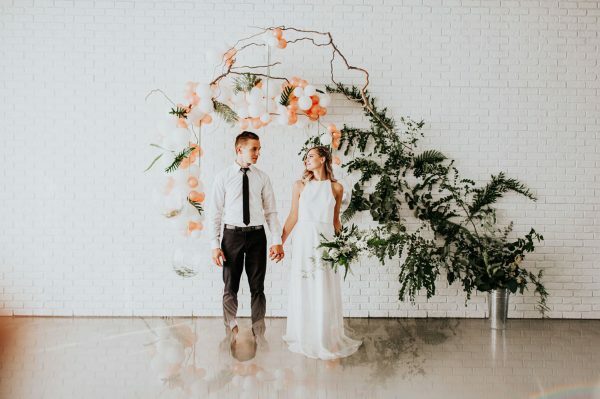 Forget about this wedding tradition – your guests really won’t mind and spending the day celebrating your happily ever after is more than enough. You’ll be throwing a great party, who needs wedding favours anyway? Couples are getting seriously creative when it comes to choosing the setting for their special day. Gone are the days when a traditional wedding venue such as a hotel or castle was the only option. 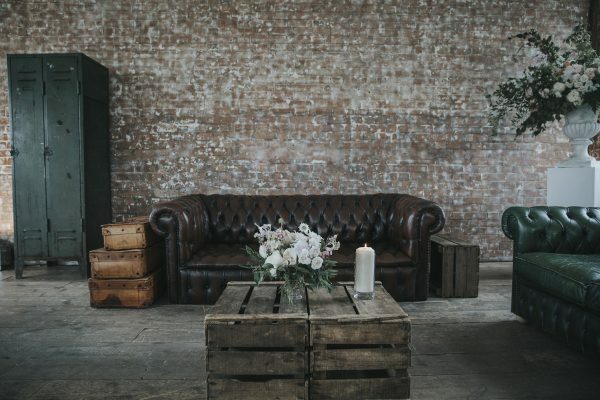 Brides and grooms are instead opting for unique and edgy locations such as abandoned warehouses, quirky factories or loft spaces with tonnes of style. So, if you can’t imagine tying the knot in a traditional wedding venue, you don’t have to! Talking about creativity, it doesn’t just stop at the wedding venue. Traditional wedding breakfasts are being replaced with incredible food displays that your guests will adore feasting on! 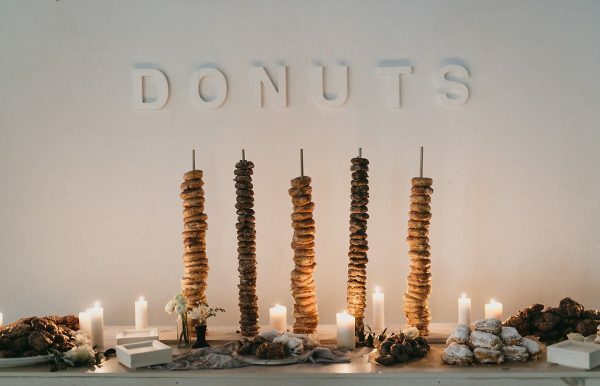 We’re talking statement doughnut walls, taco bars and stylish street food trucks galore! Delicious AND cool. We can’t get enough of elopement weddings. They’re so personal, romantic and a seriously special way to start the next chapter in your life. 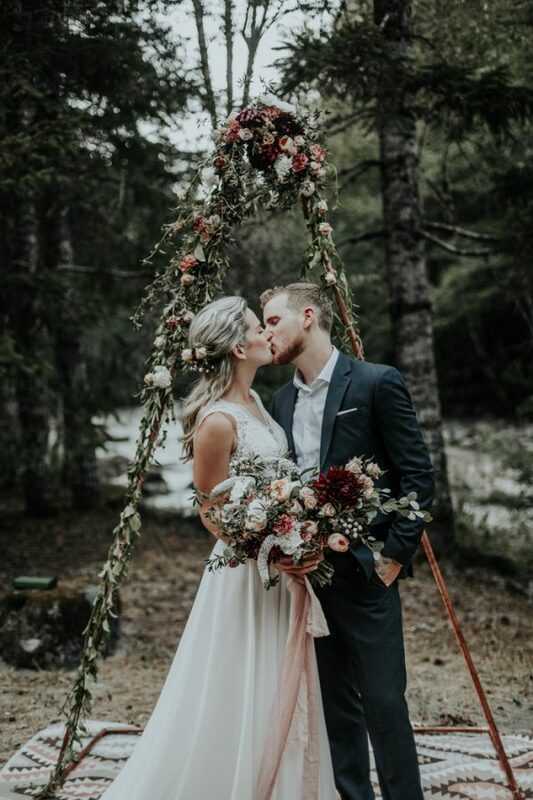 It’s a moment that just the two of you can share together and we can certainly see why more and more couples are ignoring tradition in place of an elopement wedding. Which wedding traditions will you be sticking to and which will you be giving the boot? We’d love to know! For even more wedding inspiration, pop over to the F & W Blog or check out our gorgeous collection of Bridal Designers.